Keep your kitchen well stocked with herbaceous goodness, fragrant spices and your favorite crisp vegetables. Artemisia are grown for their silvery-green foliage and for their aromatic, culinary, and medicinal properties. They have alternate, sometimes deeply divided, grey or silver leaves. Flowers are not showy. These plants are a good choice for rock gardens and other sunny, dry landscape sites. LIGHTING REQUIREMENTS: USDA hardiness zones: 6 through 10 CARE INSTRUCTIONS WATER: Allow the soil to dry between watering. FERTILIZER: Fertilizer always helps, but is only necessary in the poorest of soils. FLOWERING: N/A. SOIL: Use well drained soil. DISEASE: refer to growers instructions. Artichokes or "chokes" as they are commonly called, are a member of the thistle family. Artichokes are considered a sensuous vegetable, and the vegetable of the gods. It is believed to be loved by the Greek god Zeus. It is also a favorite of aristocrats and affluent members of society, dating back thousands of years. The Artichokes we eat, are the immature flower bud of the artichoke plant. This tender, young bud is called the "Artichoke heart". If allowed to mature, the bud produces a purple flower. Artichoke hearts can be eaten raw or cooked. They are most often steamed. The heart, or center of the bud, is eaten along with small, tender outer leaves. The stem is also edible, and best cut an inch or so below the bud.Artichoke is native to the Meditteranean and North Africa. Did you know? Artichokes are a member of the Thistle family. 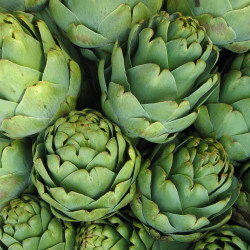 Artichokes are grown commercially in the U.S., almost exclusively in California. 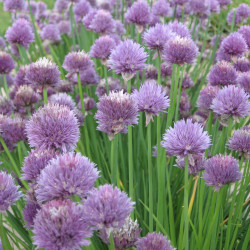 While it is grown by home gardeners, it is not a common home garden crop. It is also grown around the world. LIGHTING REQUIREMENTS: USDA hardiness zones: 7 through 11 CARE INSTRUCTIONS WATER: Good drainage is crucial to prevent the roots rotting during cool, damp winters, however the soil must also be able to retain water long enough to allow the roots to take it in, during hot summers. FERTILIZER: Use a general purpose fertilizer once or twice a season for best performance. FLOWERING: The flower buds are what are sold in produce aisles. The bracts are tightly folded over the enclosed flower parts. If allowed to open on the plant, mature artichoke flowers open into large, dome- or muffing-shaped, purple thistles that are surprisingly fragrant. SOIL: They need a well-draining, loamy soil with a good amount of organic matter. DISEASE: Few pests attack artichokes. Slugs can be a problem during damp weather, especially with younger, tender leaves. Aphids can also become a nuisance, but can be hosed off, before they take over. Botrytis, or gray mold, can affect leaves and flower bracts. It is most pervasive on damaged leaves, which will turn brown and then grayish. Remove affected leaves as soon as the disease is noticed. For severe infections, use a fungicide labeled for edible plants, such as neem. Asparagus is grown for the immature, tender shoot or spear (or stalk). It is harvested early in the spring. As a matter of fact, it is the first vegetable of spring. Asparagus is a perennial plant, which multiplies through it's root system. It will thrive for many years with little care. It grows well in areas that do not have a mild winter. 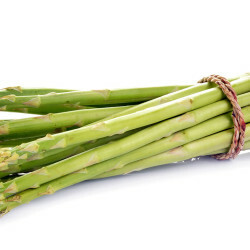 Asparagus spears are a tender and mild tasting vegetable. They can be eaten raw or cooked. It is most often steamed. It is a real delicacy among the vegetable world. It is only harvested from early to late spring. A couple weeks after the last frost in your area, the stalks should be allowed to grow, to allow the development of the root system for future crops. The leaves will eventually open to a fern like plant. While most of us plant the roots, the plant does produce seeds. Did You Know? Asparagus is one of just two perennial vegetables, that lives for several years. The other is Rhubarb. LIGHTING REQUIREMENTS: USDA hardiness zones: 3 through 8 CARE INSTRUCTIONS WATER: Grow plants in full sun, and in well drained soil. FERTILIZER: A number of publications recommend sprinkling salt around the plants to promote their growth. There is no known benefit of adding salt. FLOWERING: N/A. SOIL: Aster flowers grow well in average soils, but needs full sun. DISEASE: There are few diseases that affect plants early in the spring. Asparagus is susceptible to root rot, especially in wet soils. Rust diseases can also affect it. Arugula, also called Roquette, is a vegetable. 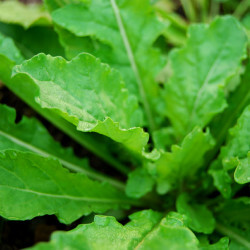 Native to the Mediterranean and Asia, Roquette is a member of the mustard family. LIGHTING REQUIREMENTS: USDA hardiness zones: 8 through 11 CARE INSTRUCTIONS WATER: Watering should be reglar. FERTILIZER: Add fertilizer when planting. MEDICINAL BENEFITS/APPLICATIONS: Along with other leafy greens, arugula contains very high nitrate levels (more than 250 mg/100 g). High intakes of dietary nitrate have been shown to lower blood pressure, reduce the amount of oxygen needed during exercise and enhance athletic performance. SOIL: The soil should be rich, and drain well. DISEASE: nsect and disease problems are uncommon with this plant. Basil herbs are among the most popular plants in the home herb garden. It is about as easy to grow as any plant can be. The plant is attractive, with many varieties to choose from. LIGHTING REQUIREMENTS: USDA hardiness zones: 7 through 10 CARE INSTRUCTIONS WATER: Watering should be regular. FERTILIZER: Add fertilizer when planting. 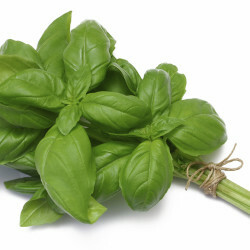 MEDICINAL BENEFITS/APPLICATIONS: Basil is known for its anti-oxidant properties. It helps to fight off heart disease and cancer.It's antibacterial properties helps promote stomach health. SOIL: The soil should be rich, and drain well. DISEASE: nsect and disease problems are uncommon with this plant. 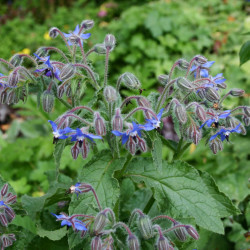 Borage herb plants have attractive fuzzy leaves, and droopy, 5-petaled, star-shaped flowers in a bluish-purple color. The plant grows up to 3 feet tall, producing a continuous bloom, all the way to frost. Native to southern Europe and Asia Minor, Borage is a herb that is an excellent companion plant, and has medicinal and culinary applications. CARE INSTRUCTIONS WATER: Borage plants need a constant supply of water. FERTILIZER: For optimum growth, fertilize once a month during the growing season. MEDICINAL BENEFITS/APPLICATIONS: When used in teas and paste helps to reduce fever, depression, treats diarrhea, pain and swelling. SOIL: Use well drained soil. DISEASE: Disease problems are uncommon with this plant. 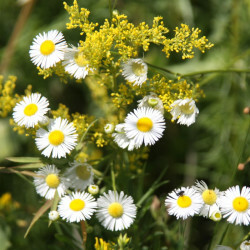 Chamomile makes a very popular, relaxing, herbal teas. LIGHTING REQUIREMENTS: USDA hardiness zones: 3 through 9 CARE INSTRUCTIONS WATER: Sufficient watering during the growing season is a must to keep the soil moist. FERTILIZER: Regular application of fertilizer will help this plant to grow to it's maximum height. MEDICINAL BENEFITS/APPLICATIONS: Helps with toothaches, stomach aches and helps improve the immune system. SOIL: Will do well in average soils, and tolerate dry soil conditions. DISEASE: Disease problems are uncommon with this plant. Chervil, also called French Parsley, is native to eastern and southern Europe. 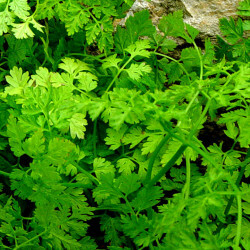 Chervil is an annual herb, and a member of the carrot family. It is very popular in ethnic cuisine. CARE INSTRUCTIONS WATER: Regular watering is required. Do not let dry out. FERTILIZER: Add a general purpose fertilizer once or twice during the growing season. MEDICINAL BENEFITS/APPLICATIONS: Helps cure stomach disorders and digestion problems. Helps to reduce cellulite. In tea, it improves blood circulation. Helps with high blood pressure and much more. SOIL: Soil should be well drained. DISEASE: Disease problems are uncommon with this plant. 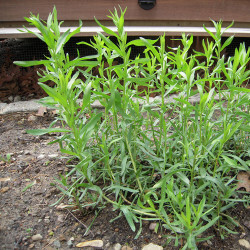 One of the easiest and most common herbs to grow on the planet. LIGHTING REQUIREMENTS: USDA hardiness zones: 3 through 9 CARE INSTRUCTIONS WATER: Regular watering is required. Do not let dry out FERTILIZER: Use liquid fertilizer every four to six weeks. MEDICINAL BENEFITS/APPLICATIONS: Very high in Vitamin C. SOIL: Soil should be well drained. DISEASE: Disease problems are uncommon with this plant. 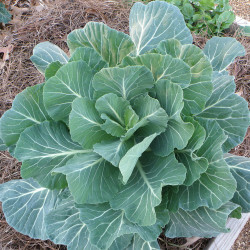 As a member of the cabbage family, Collards plants are far less known. Collard greens are closely related to Kale. They are strong flavored, open leafed cabbage. They do not form a large, round head. LIGHTING REQUIREMENTS: USDA hardiness zones: 8 through 10 CARE INSTRUCTIONS WATER: Keep the soil moist and well draining, but not wet. FERTILIZER: Boost your plants health with a light application of liquid fertilizer twice during growing peroid. MEDICINAL BENEFITS/APPLICATIONS: Collard packs in lots of nutrients for a little amount of calories. If you are trying to eat healthier, cruciferous vegetables like collard greens should be at the very top of your grocery list. SOIL: Use rich, well drained soil. DISEASE: Disease problems are uncommon with this plant. Cumin plants belong to the Parsley family. They grow tall and have thin, slender dark green leaves. 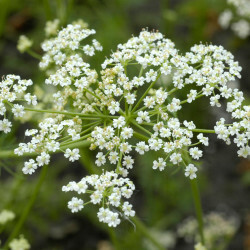 Cumin is grown for its seeds, which are preceded by pink or white flowers. LIGHTING REQUIREMENTS USDA hardiness zones: 5 through 10 CARE INSTRUCTIONS WATER: Keep the soil moist. MEDICINAL BENEFITS/APPLICATIONS: Cumin has been used to aid in digestion, and for stomach ailments. SOIL: Use rich, well drained soil. DISEASE: Disease problems are uncommon with this plant. Dill, also called "Dill Weed", is native to southwest Asia. 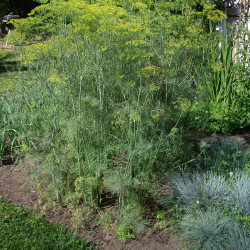 It is a member of the Parsley family, and grows from 18 to 42 inches tall. The most popular varieties grow 24-36 inches. LIGHTING REQUIREMENTS: USDA hardiness zones: 8 through 14 CARE INSTRUCTIONS WATER: Water regularly. FERTILIZER: Add a general purpose fertilizer once or twice a season. MEDICINAL BENEFITS/APPLICATIONS: Dill herb tea is popular for controlling flatulence. Make the tea by adding 1-2 teaspoons of dried seeds to boiling water. Let it steep for several minutes. SOIL: Use rich, well drained soil. DISEASE: Disease problems are uncommon with this plant.